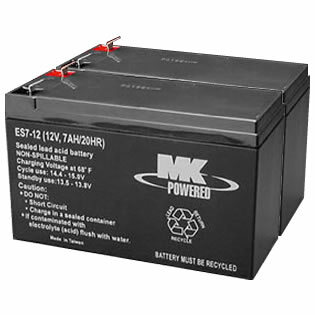 Stair Lift Batteries for Acorn, AmeriGlide, Brooks, Bruno, Savaria, Summit, and More! 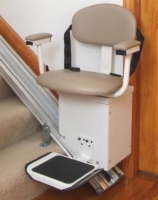 Call 1 (800) 347-0153 if you have any stair lift questions. Each set comes with two 12 volt, 7 amp batteries. Browneyes2 from Pittsburgh, PA would recommend this to a friend. Rifleman1b from Wyoming would recommend this to a friend. Cabin One Guy from Edgewater Florida would recommend this to a friend. All around repair, fixer upper guy who is growing older. Your service was wonderful! Thanks for being there. Rockyiv from Murrayville, Ga would recommend this to a friend. Bob F. from Nazareth, PA would recommend this to a friend. Batteries fit perfect. No alterations or changes were needed to make the batteries connect. Fast shipping. Batteries worked great. Stair Lift works as new again. Handyman from Martinez, CA would recommend this to a friend. Received batteries in three days. I installed them myself in 10 minutes, and it seems to be working great. I hope to get at least 18 months of use out of it. No problem with service and delivery. We saved a lot of money, by not buying a new stair lift, but the installation was difficult.